The chairman of the U.S. Consumer Product Safety Commission says his agency is working "non-stop" to figure out what's causing "hoverboards" to burst into flames. 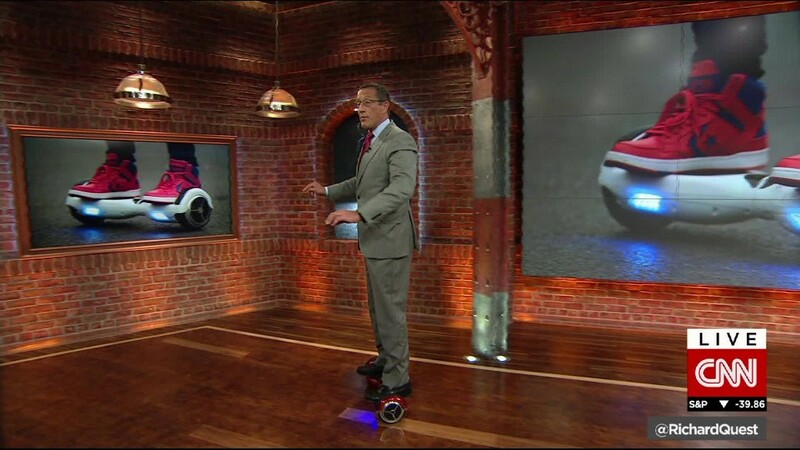 "Every consumer who is riding a hoverboard, who purchased one to give as a gift during the holidays, or who is thinking about buying one deserves to know if there is a safety defect," said Elliot F. Kaye, chairman of the U.S. CPSC, in a statement. Kaye issued the statement after the agency started investigating at least 11 reports of hoverboard fires in 10 states. Retailers are also wary. Amazon (AMZN), for example, has stopped selling most hoverboard models. The company's U.K. branch went so far as to send emails to customers who bought them indicating the boards are too dangerous to keep. "Please dispose of this product [to a recycling center] as soon as possible," the retailer said. Kaye said that engineers at the agency's testing center in Maryland are testing both new and damaged boards. He said staffers are "looking particularly closely at the configuration of the battery packs and compatibility with the chargers." Fire isn't Kaye's only concern, however. He said users are also being injured in falls. "CPSC has received dozens of reports of injuries from hospital ERs that we have contracts with and they continue to feed us real-time data," Kaye said. "Some of these injuries have been serious, including concussions, fractures, contusions/abrasions and internal organ injuries."